Plan your entire Quince under one roof. Quincenaera Expo is designed to focus exclusively on everything a future Quinceanera will need for their event. 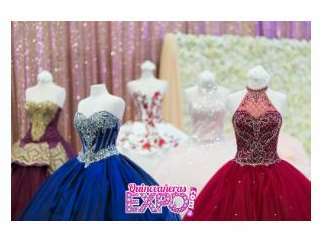 A Quinceanera Celebration is the most anticipated event for teenage Latinas and the Quinceanera Expo will help them make their dreams become a reality. There will be Fashion Shows, Choreographed Dance Performances, Product/Service Demonstrations and Prizes.